Their story is one of the most remarkable in popular music, and it continues to be written. Founder member (and second tenor) Otis Williams, now in his early seventies, seems determined to sustain the legend, still performing with a group of Temptations under his command. In the opening track of the 2004 album Legacy, he sings: Some of the faces change / But the name’s the same / Still the Motor City runnin’ through my veins. “I wouldn’t change anything. God put us here for a reason, and we’re still here years later. The only thing I’m saddened by is that the four brothers who started this with me are no longer here.” Otis Williams of the Temptations. March 6, 1965: ‘My Girl’ is their first No. 1 on the Billboard Hot 100. March 3, 1973: ‘Papa Was A Rollin’ Stone’ wins three Grammy awards. 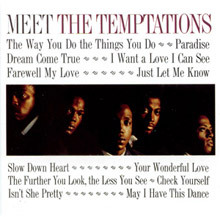 November 1, 1998: The Temptations’ story is broadcast as an NBC-TV mini-series. The bloodline belongs to the music, of course, and ‘My Girl’ is surely the heart. You can still hear it pumping around the world, on radio stations and digital streaming services, in movies and TV sitcoms, not to mention commercials. Hell, delegates to the Republican Party’s 2012 national convention in Florida even sang it following a speech by the wife of presidential candidate Mitt Romney. 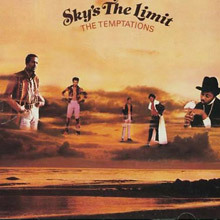 For the Temptations, ‘My Girl’ propelled them to the peak of the pop charts. For David Ruffin, it was his first lead on a single by the group. For Smokey Robinson, it wasn’t his first production with them, but everything changed thereafter. 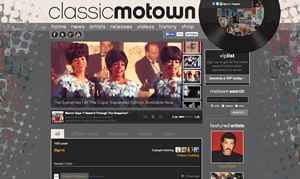 “We had the Temptations on a package tour with [the Miracles],” he told Black Music magazine. “We were doing quite a lot of dates and ‘My Girl’ was written in New York at the Apollo Theatre. I was at the piano and Ronnie White came down and we kind of worked out the words and everything. And win they did. 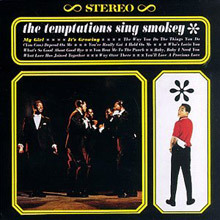 After ‘My Girl’ and the albums Meet The Temptations and The Temptations Sing Smokey, their career exploded in a flash of radio, television, concert and chart ubiquity. ‘Get Ready,’ ‘Ain’t Too Proud To Beg,’ ‘(I Know) I’m Losing You,’ ‘I Wish It Would Rain’ the hits came thick and fast, as did albums of depth and substance: Gettin’ Ready, With A Lot O’ Soul, Wish It Would Rain, In A Mellow Mood and Live! 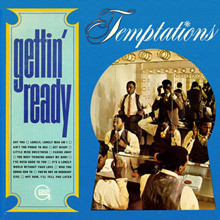 ‘Ain’t Too Proud To Beg’ ratified Ruffin as the Temptations’ defining voice, at least until he was fired in 1968.Â The late Norman Whitfield, who became the group’s primary producer after Smokey, explained, “There are certain people who can deliver love songs better than [those with] the more raunchy-type voice. David could give you both.” Unfortunately, Ruffin’s ego got the better of him. 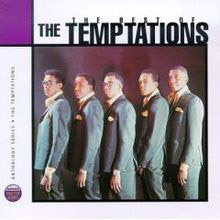 Celebrated for their snappy “Temptation Walk” choreography, the group spun to a more traditional tempo via a duet album, Diana Ross & The Supremes Join The Temptations. A second set of duets followed: T.C.B. (Taking Care of Business), the soundtrack to Motown’s first TV production, which aired in America at the end of ’68 to strong ratings. Another pair of albums followed, Together and (also a TV special) On Broadway. Baritone Paul Williams captivated the audience on the T.C.B. telecast with a version of ‘For Once In My Life,’ but this founder member of the Temptations was often adrift and alcohol-dependent. Richard Street, in a combo called the Distants in the late 1950s with Otis and Melvin, was recruited to sing Paul’s parts from the wings. He eventually took his place on stage after 1971; Williams committed suicide in 1973. Even as this tragedy unfolded, Eddie Kendricks, too, had leaving on his mind. “We didn’t want to stop him and he didn’t want to stay,” declared Otis Williams, “so that was that.” Before he went, Eddie made ‘Just My Imagination (Running Away With Me)’ into one of the Temptations’ most successful sides, his feather-light lead and the group’s Jacuzzi-warm harmonies melting together perfectly. Kendricks was officially gone (replaced by Ricky Owens, then Damon Harris) in March 1971, as ‘Imagination’ held sway at No. 1. 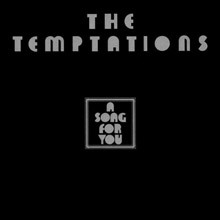 You can find what many regard as the Temptations’ zenith from the vaults of 1972. 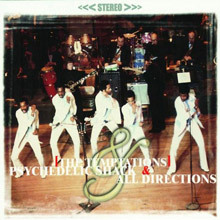 ‘Papa Was A Rollin’ Stone’ was a Grammy-winning, chart-dominating piece of cinematic soul which ran for almost 12 minutes on the LP, All Directions. “I wanted to try some songs that had the scope and feeling of a movie,” producer Whitfield later said of his work. he “necessary extra energy” isn’t the most eloquent testimony, but it remains a key aspect of their convention-defying legacy. 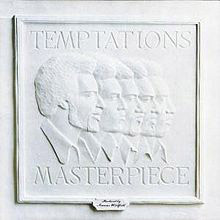 Temptations leave (David, Eddie, Paul, Dennis) or pass on (Melvin, Richard, Damon), but the group endures. For a moment, Kendricks and Ruffin reunited with them for a tour and a Motown album, Reunion, in 1982. Later, under the patronage of Daryl Hall & John Oates, the two played at Live Aid and recorded together. 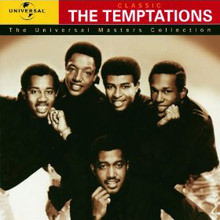 The Temptations even quit Motown near the end of 1970s, but returned in 1980 to cut a song co-written for them by Berry Gordy, entitled ‘Power.’ Thirty years later – thirty! – a remix of their ‘Power’ was featured in a commercial for smartphone maker Blackberry. 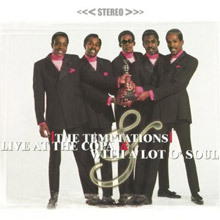 Decades pass, technology evolves – and the Temptations are still temptin’.